From 20 May 1756, her married name became North. After her marriage, Anne Speke was styled as Countess of Guilford on 4 August 1790. From 5 August 1792, her married name became North. After her marriage, Lady Maria Frances Mary Hobart was styled as Countess of Guilford on 5 August 1792. [S6] G.E. Cokayne; with Vicary Gibbs, H.A. Doubleday, Geoffrey H. White, Duncan Warrand and Lord Howard de Walden, editors, The Complete Peerage of England, Scotland, Ireland, Great Britain and the United Kingdom, Extant, Extinct or Dormant, new ed., 13 volumes in 14 (1910-1959; reprint in 6 volumes, Gloucester, U.K.: Alan Sutton Publishing, 2000), volume II, page 403. Hereinafter cited as The Complete Peerage. [S1397] Mark O'Sullivan, "re: Henrietta Hobart," e-mail message to Darryl Lundy, 17 July 2005. Hereinafter cited as "re: Henrietta Hobart." After her marriage, Susan Coutts was styled as Countess of Guilford on 28 February 1796. From 28 February 1796, her married name became North. [S21] L. G. Pine, The New Extinct Peerage 1884-1971: Containing Extinct, Abeyant, Dormant and Suspended Peerages With Genealogies and Arms (London, U.K.: Heraldry Today, 1972), page 45. Hereinafter cited as The New Extinct Peerage. 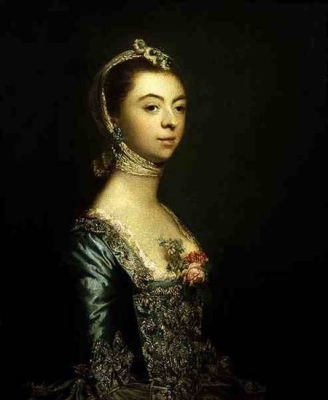 She was also known as Eleanor.3 From 1696, her married name became Hamilton. After her marriage, Helen Hope was styled as Countess of Haddington in 1696. Her married name became Baillie. [S6] G.E. Cokayne; with Vicary Gibbs, H.A. Doubleday, Geoffrey H. White, Duncan Warrand and Lord Howard de Walden, editors, The Complete Peerage of England, Scotland, Ireland, Great Britain and the United Kingdom, Extant, Extinct or Dormant, new ed., 13 volumes in 14 (1910-1959; reprint in 6 volumes, Gloucester, U.K.: Alan Sutton Publishing, 2000), volume I, page 17. Hereinafter cited as The Complete Peerage. [S5379] Mike Bucher, "re: Baillie Family," e-mail message to Darryl Roger LUNDY (101053), 25 May 2011. Hereinafter cited as "re: Baillie Family." [S1049] Peter Reynolds, "re: Lady Grisell Baillie," e-mail message to Darryl Lundy, 4 March 2004. Hereinafter cited as "re: Lady Grisell Baillie."